Getting going with digital: Why make the switch? In this article, we examine how implementing a digital strategy and the right management software for your fitness business can save you time, improve cash flow and increase revenue. It’s natural to assume this means a website. A well-designed, mobile-optimized website with clear information, booking options and a strategy to boost SEO can be a great way to generate and convert leads. Your website and your social channels can be great for your business. If they’re poorly designed or outdated, you can do yourself more harm than good. If you have a website, this should be viewed as your base. You want to drive people to the website to book new sessions, stay up to date with your business news and read or share interesting articles. This means consistently investing time and/or money into your site to make sure that you are delivering content to your customer. We’d recommend looking at your website as a progression from a base digital presence that includes a booking and payment system. You should be very aware that your site is not a one-off investment – you still have to drive traffic and keep it current in order for it to be a value add. A Facebook page with a link to a good, fitness-focused booking platform can be a good first step to a full website. Our research shows scheduling issues cause 57% of fitness buyers to renege from their purchase, whether that’s for classes or memberships. Ensuring you’re doing everything you can to provide customers with convenience, flexibility and the information they need and want is key. Specific features such as automating payment, waitlists, cancellation policies, calendar sync, and reminders can also help you to maximize revenue from existing customers. No-shows are costly, especially at peak times. Offering improved convenience through app and web booking are also proven techniques for increasing consumer willingness to buy. At Gymcatch, 80%+ of bookings are seen on mobile and over 70% are made outside of normal working hours. Having one set class price or one straight membership price doesn’t increase your customer’s ‘willingness to pay’. Customers are willing to commit more cash upfront if there’s an incentive to do so. Incentives can come in a price break for bulk buys or a pricing table highlighting the middle option as the best value. Creating pricing tiers and using block purchasing discounts can incentivise increases and ‘trading-up’ in total spend with your business and drive improved cash-flow through upfront purchases. Applying deeper discounts to underutilized sessions is also a good strategy and gives you a way of communicating additional value to your customer base. Keeping track of payment and attendance for these sessions can be seriously time consuming, and many booking systems have nowhere near the functionality needed to help (let alone a consumer-friendly buying mechanism), so be sure to scope implementation thoroughly before introducing this feature. This sounds obvious, but churn within the fitness industry is a serious problem. For premises-based businesses, the rate can run as high as 40% per annum. The easiest way to maximize revenue is to plug that leak. Chances are you got into fitness because you know about fitness, so the game-changers are likely to be the things that you find less natural or especially difficult. You don’t know what you don’t know, right? Our research shows that only 27% of people who want communications from their fitness provider ever receive any at all. 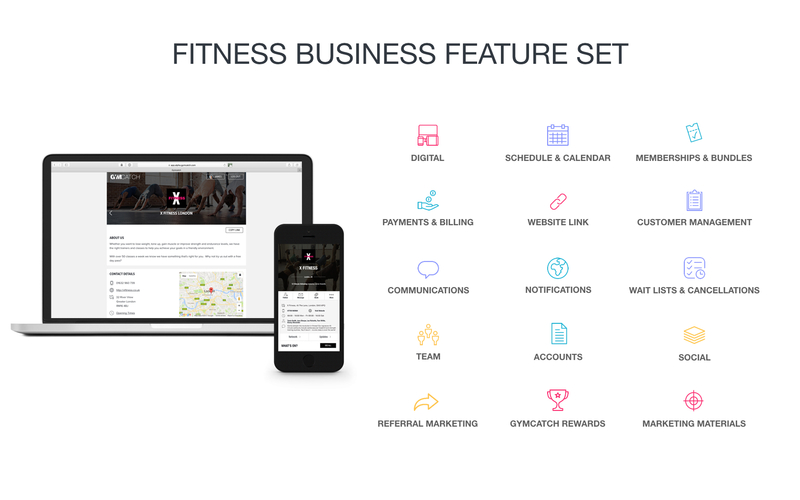 Having fitness business software that gives relevant, up-to-date schedules and information (either automated or otherwise) is important. Creating a community around your fitness platform by enabling social interaction before and after workouts can also be a great way to create habit-forming behavior. 37% of fitness consumers we surveyed said they find themselves more engaged when there’s a social element to their fitness routine. Rewarding your customers with unexpected gifts (like a free class, for example) and wider loyalty schemes are also proven techniques to increase retention. After location, referrals are the second most powerful influencer when it comes to fitness consumers buying decisions. Tapping into this is an incredibly effective way of driving new revenue. This can be difficult though. It’s not easy to remember to ask for a referral, and on top of that it can feel awkward or unprofessional – especially if you’ve asked before. It’s important, therefore, to look at ways to drive this process naturally. Initiatives such as ‘bring a friend for free’, or referral schemes in which successful referrals bring about prizes (free sessions, etc.) can help to align incentives. It’s common to look at Facebook check-ins and newsfeed posts to drive this. We find ‘tag a friend who may be interested’ on a post tends to work better than staged check ins or post shares. Using a fitness booking system that embeds the ability to share sessions across different platforms (email, SMS, own, Facebook, Twitter etc.) is a good strategy as it can create time and location specific context straight away. For more information on Gymcatch, and how it can help with all of the above and more: Gymcatch.com/business.